My birthday was last Friday. We did nothing special. On Saturday we were supposed to go to this concert thing that I mentioned about on my last post, but I ended up not having any cash on me and I was tired. We drove around Tampere all day and also walked around ideapark. It was a nice surprise to notice that there was a record fair there! There was all kinds of records, so much rock, heavy metal, punk... OH DEAR HELL ALL THE GLORIOUS PUNK! I noticed a Siouxie and The Banshees LP record, I wanted it so baaad, I went to get some cash and when I got back... it was gone.. I was very sad since it didn't even cost very much. 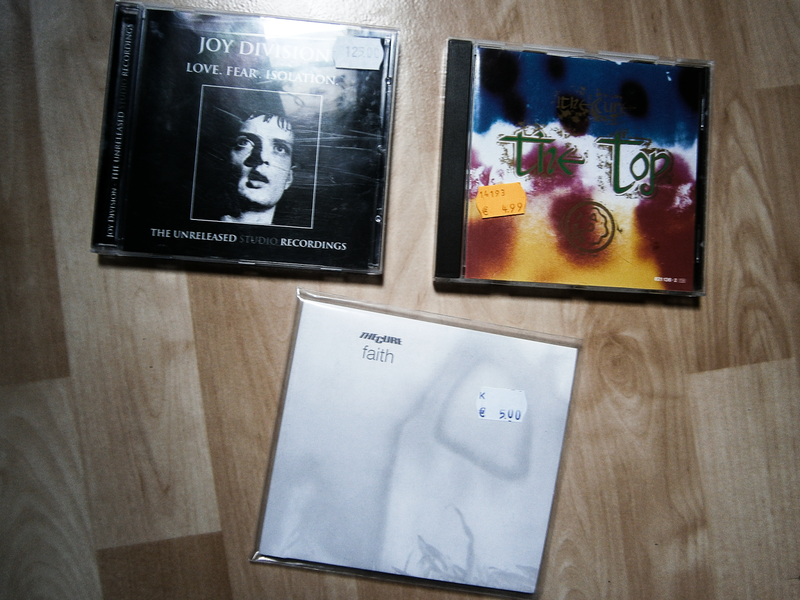 But I got some CD:s instead. I made those leg things from Jeans I bought from the fleamarket. Ohh yeah, something I have been looking forever arrived in the mail today! You guys probably going to see it in the next post. See you then! You made leg warmers from jeans??? *_* You're a genius :D I love them! and very lucky finds in the music section!